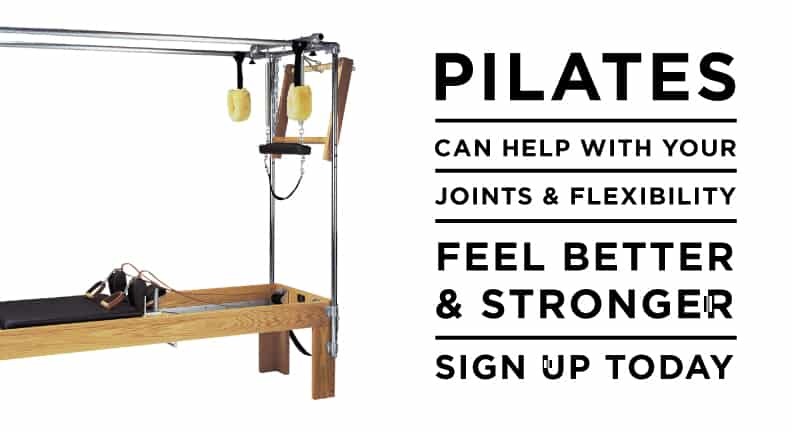 If you are someone who is not interested in circuit or weight training, maybe you have back or joint problems that restrict you from doing certain movements, or maybe you are really into fitness and can feel the tightness (or stress) in your muscles…if so, then try out Pilates! This fun and efficient workout style is great for building long, lean muscles, and increasing one’s flexibility, strength, lung capacity and muscle endurance. Pilates can help people to reduce their back pain, improve your posture, strength, and balance, as well as enhance your core stability. Through our sessions, you will also increase your mind and body awareness which will, in turn, help you to focus better in your everyday life. It is all too common that our minds are disconnected from our bodies. Unfortunately, this contributes to every day health issues, as well as more serious medical concerns. When you focus on core stabilization and proper control with our Reformer Pilates program, you will be doing yourself a wonderful service, improving your health, physical shape and mental vitality in so many ways. Seniors with mobility issues will especially receive benefits from Pilates, due to its low impact on joints and blood pressure yet is still challenging and energizing. Men, women, teens…young, old…athlete or handicapped… you are sure to love it!